At many universities, Computer Science Ph.D students are fully-funded by their department during their first two academic years. This gives students an opportunity to explore different research areas before committing to a specific faculty advisor. Teaching or assisting with one or more Computer Science classes is often a requirement during this phase to provide some value back to the department. Once a student commits to an advisor, the advisor can provide support for the student from fellowships or other grants the advisor has received. A certain amount of research (usually writing or contributing to academic papers) is expected to “earn” the money provided by the advisor. Fully-funded typically means having full tuition covered, health coverage for the student (but not family), and a yearly stipend ranging $10,000–$40,000. The tuition cost varies based on the university and the stipend is variable, but the all-in amount to fully-fund a Ph.D student is $40,000-$70,000 per year at a public university. An alternative to faculty support is for the student to secure their own fellowship. Receiving a fellowship can relieve some of the expectation that an advisor has for contributing to their research. I’ve found 12 fellowships that would be an option for me, which I’ve included in the table below. There are a variety of other fellowships out there, but do not apply to me (such as being female-specific). 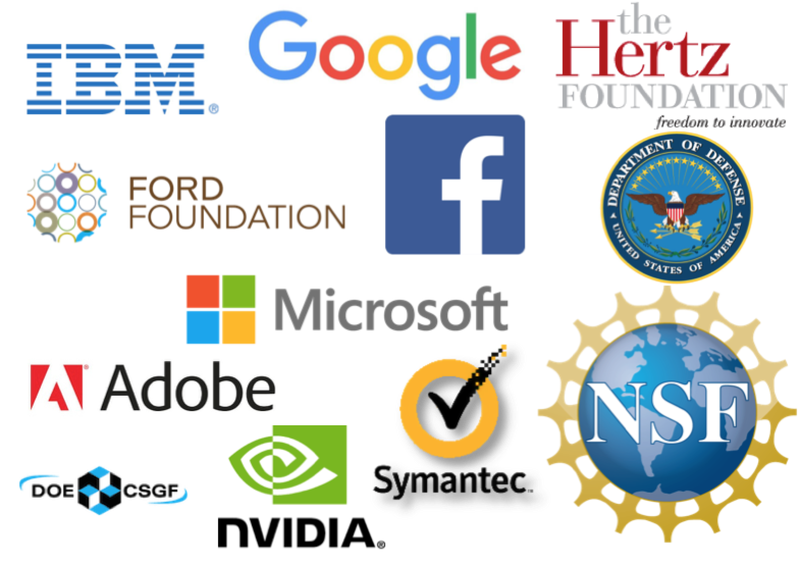 The ideal fellowship provides financial support for as many years as possible (three or four in the case of NSF, NDSEG, and DOE Computational Science) or has significant name recognition in the space (e.g. Google, Facebook, Microsoft, IBM, etc.). Some fellowships come with an optional or mandatory internship. I didn’t include any fellowships that require an internship since I’m not interested in that. Also, most fellowships require that you do not receive a fellowship from any other source. They don’t want you to stack several fellowships together, which is too bad, but given the limited options I suppose I understand not wanting to “over fund” certain students at the expense of some not receiving any funding. This table took a few hours to put together. Each program has a website with the information I was looking to collect scattered among different pages. It struck me as a new CS Ph.D student that I should be automating this data collection task at some level, but given that there are only 12 entries, it wouldn’t be worth the time. If there are any other relevant fellowships I’m missing, let me know. If you like this post, give it a ❤️ below!